P Turney was appointed colonel, 1st Tennessee Infantry, at Winchester, Franklin County, Tennessee, on 27 April, 1861. J H Holman was appointed lieutenant colonel, 1st Tennessee Infantry, on 27 April, 1861. Captain P B Anderson, 1st Tennessee Infantry, Company A, Company B, was appointed first major, 1st Tennessee Infantry, on 27 April, 1861, and resigned at Lynchburg, Campbell County, Virginia, on 7 May, 1861. 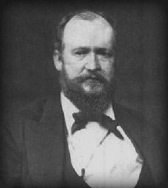 D W Holman was appointed second major, 1st Tennessee Infantry, on 27 April, 1861, and major, 1st Tennessee Infantry, at Lynchburg, Campbell County, Virginia, on 14 May, 1861. The company was accepted or mustered in state service for one year at Pelham, Grundy County, Tennessee, on 29 April, 1861, and Captain A E Patton's, 1st Tennessee Infantry, Company A, resignation was accepted by Special orders No.130, Adjutant & Inspector General's Office, Richmond, Henrico County, Virginia, on 21 August, 1861, dated 8 August, 1861. First Lieutenant E Reynolds, 1st Tennessee Infantry, Company A, was appointed captain, 1st Tennessee Infantry, Company A, on 8 August, 1861. The company was accepted or mustered in state service for one year at Tullahoma, Coffee County, Tennessee, on 29 April, 1861, and Captain P B Anderson, 1st Tennessee Infantry, Company B, was appointed first major, 1st Tennessee Infantry, on 27 April 1861. The company was accepted or mustered in state service for one year at Winchester, Franklin County, Tennessee, on 29 April, 1861. The company was accepted or mustered in state service at Ridgedale, Franklin County, Tennessee, on 29 April, 1861. The company was accepted or mustered in state service for one year at Lynchburg, Moore County, Tennessee, on 29 April, 1861. The company was accepted or mustered in state service for one year at Salem, Winchester, Rutherford County, Tennessee, on 24 April, 1861. The company was accepted or mustered in state service for one year at Fayetteville, Lincoln County, Tennessee, on 25 April, 1861. The company was accepted or mustered in state service for one year at Shelton's Creek, Lincoln County, Tennessee, on 29 April, 1861. The company was accepted or mustered in state service for one year at Cowan Station, Winchester, Franklin County, Tennessee, on 20 April, 1861. The company was accepted or mustered in state service for one year at Boon Hill, Lincoln County, Tennessee, on 29 April, 1861,. "The trains in the afternoon brought in Col. Turney's regiment of Middle Tennesseans, numbering 1,160, and a regiment of Louisiana troops. These were addressed by Messrs. Swan, McAdoo, Crozier, and others, to whom Col. Turney, on behalf of the Tennessee regiment, and Major Holman, on behalf of the Louisiana regiment, responded in a happy style." "The excitement in town last Monday was great, and weeping eyes were numerous, caused by the parting of friends, on the departure, by Railroad, of the Fayetteville Guards, numbering 97, and the Boon's Hill Minute Men, 103, rank and file." "The Tullahoma Guards, numbering 100 rank and file, enlisted for the defence of the South, were to leave Tullahoma for Winchester last Sunday. We have received the proceedings on the occasion of the presentation of a flag to the Guards on saturday, the 27th, but are compelled to defer until next week." "Winchester, Tenn, Tuesday evening, 30 April, 1861 - Today the Mountain Regiment was organised by electing the following officers: Peter Turney, Colonel, Wincgester; Jas. H. Holman, Lieutenant Colonel, Fayetteville; P. B. Anderson, 1st Major, Tullahoma; D. W. Holman, 2d Major, Fayetteville. The appointive officers have not been announced yet. The regiment is expected to start to Lynchburg, Va., tomorrow evening." "Last Monday four companies left this county en route for Lynchburg, Virginia. They are the fayetteville Guards, Lynchburg rangers, Boon's Hill Minute Men, and Shelton's Creek Company, and numbered about four hundred as noble, patriotic souls as ever responded to the tap od a drum." "The First Regiment composed of eleven companies - five from Franklin, four from Lincoln, one from Coffee, and one from grundy - elected the following officers while in camp at Winchester on Tuesday of last week: Peter Turney, Colonel; James H. Holman, Lieutenant Colonel; P. B. Anderson, 1st major; D. W. Holman, 2d major. We have not received a full report of the appointed officers. The Regiment left Winchester for Lynchburg, Va., on Wednesday, 1st inst." "Dear Sir: We arrived here this morning - the Regiment all in good spirits, considering the loss of sleep and fatigue." "We leave for Lynchburg, Va., in the morning at 5 A. M."
"We (six companies of the 1st Tennessee Regiment) arrived here this morning at 8 A o'clock. The balance will be here this evening." "Col. Turney's First Regiment of Tennessee volunteers left here yesterday morning." "The First Regiment of Tennessee Volunteers arrived in Richmond, by the Danville cars, about 10 o'clock Sunday night, and marched from the depot immediately to their camp, which had been established southeast of Howard's Grove, near the Black Pond. The regiment, which numbers 1,000 men, are composed of citizens of Coffee, Grundy, Lincoln, and Franklin counties." "Dear Observer: Nothing of special interest has transpired in our Regiment since I last weote you, except that our Regiment has been mustered into the Confederate States. We have no arms as yet." "Dear Sir: We arrived in this city on sunday last, about 8 o'clock A. M., after travelling over some of the roughest railroad in the country." "On the East of us are three regiments of Mississipians, on the West is one regiment of Mississipians. In all there are about five thousand troops here. A regiment of Alabamians left here this morning for Harper's Ferry." "The 1st Regiment of Tennessee Volunteers, Col. Turney, were ordered to Richmond yesterday. The 2nd Regiment, Col. W. B. bate, has received marching orders, and are leaving our city this morning for the Headquarters of the Army at Richmond." "The first regiment of Tennessee volunteers left this morning for Richmond. They are a noble and daring looking set of mountaineers, and will doubtless do good service. This regiment is principipally from Lincoln county, Tennessee, and commanded by the following officers: P. Turney, colonel; W. D. Holman, lieutenant colonel; W. W. Estill, major; W. W. Hardwick, aide-de-camp; W. G. Brooks, commissary; J. W. Curtis, quartermaster; Dr. Wallace Estill, surgeon. This regiment was fully organised, numbering 987 men, and tendered their service to President Jeff. Davis before Tennessee had made any move toward secession." "Our quarters have again been moved. We received orders to go to Harper's Ferry, but were stopped at this place, and it is said we will be quartered here. We left Richmond on Monday evening at 7 o'clock, in a rain(?). After travelling one night and day, we arrived at Strasburg, where we left the cars, and had to be transported a distance of eighteen miles on wagons - a good many of the boys preferring to walk, rather than travel in a wagon." "We left Winchester this morning at 8 o'clock and arrived here at 11. We are quartered in the armory foundry." Turney's First Tennessee Regiment: The Confederate Veteran, Volume XXV, Nashville, Tenn., January-December, 1917, pp164-166, by Private H. T. Childs, Fayetteville, Tenn.
"Apparently it departed shortly before or after Smith's engine, and carried the First Kentucky, the remainder of the Eleventh Mississippi, and probably the First Tennessee. They started out all right, but unexpectedly the engine suffered a collision - with what no one specified - and the cars could go no farther." The military annals of Tennessee, Confederate: First series embracing a review of military operations, with regimental histories and memorial rolls compiled from original and official sources, edited by John Berrien Lindsley, M. D., D. D.
The 1st Tennessee Infantry, Provisional Army of the Confederate States, was accepted in Confedrate service for one year on 27 April, 1861, and was ordered to rendezvous at Mary Sharp College, on College Street, Winchester, Franklin County, Tennessee, on 29 April, 1861. Fayetteville, Lincoln County, to Winchester, Fanklin County, Tennessee, Companies G & K, 29 April, 1861: The Fayetteville Guards (97) and the Boon's Hill Minute Men (103) were ordered to Winchester, Franklin County, Tennessee, on 29 April, 1861. Note: The Lynchburg Rangers and the Shelton's Creek Volunteers were ordered to Winchester, Franklin County, Tennessee, on 29 April, 1861. Winchester, Fanklin County, Tennessee, to Lynchburg, Campbell County, Virginia, 1-5 May, 1861: The 1st Tennessee Infantry was ordered to proceed by the Nashville & Chattanooga Railroad to Lynchburg, Campbell County, Virginia, in the evening on 1 May, 1861, and arrived by the East Tennessee & Georgia Railroad at Knoxville, Knox County, via Chattanooga, Hamilton County, Tennessee, in the afternoon on 2 May, 1861. The regiment arrived by the East Tennessee & Virginia Railroad at Bristol, Sullivan County, Tennessee, and in the morning on 3 May, 1861, and was ordered to proceed by the Virginia & Tennessee Railroad to Lynchburg, Campbell County, Virginia, at 5 AM on 4 May, 1861. Six companies of the 1st Tennessee Infantry arrived at Lynchburg, Campbell County, Virginia, at 8 AM on 5 May, 1861, and four companies in the evening the same day. Note: The 1st Tennessee Infantry was stationed at Camp Davis, a quarter of a mile southwest of College Hill, Lynchburg, Campbell County, Virginia, between 5 and 19 May, 1861. Mustered for one year, Camp Davis, a quarter of a mile southwest of College Hill, Lynchburg, Campbell County, Virginia, 8 May, 1861: The 1st Tennessee Infantry was mustered in Confederate service for one year at Camp Davis, a quarter of a mile southwest of College Hill, Lynchburg, Campbell County, Virginia, by Major & Assistant Adjutant General H L Clay, Confederates States Army, on 8 May, 1861, dated 27 April, 1861. Note: P B Anderson and D W Holman were appointed majors, 1st Tennessee Infantry, on 27 April, 1861, and First Major P B Anderson, 1st Tennessee Infantry, resigned at Lynchburg, Campbell County, Virginia, on 7 May, 1861. Second Major D W Holman, 1st Tennessee Infantry, was appointed major, 1st Tennessee Infantry, at Lynchburg, Campbell County, Virginia, on 14 May, 1861. Camp Davis, a quarter of a mile southwest of College Hill, Lynchburg, Campbell County, to Richmond, Henrico County, Virginia, 19-20 May, 1861: The 1st Tennessee Infantry was ordered to proceed by the Southside Railroad to Richmond, Henrico County, Virginia, at 8 AM on 19 May, 1861, and arrived by the Richmond & Danville Railroad via Burkeville Junction, Nottoway County, Virginia, at 10.30 PM on 20 May, 1861. Note: The 1st Tennessee Infantry was stationed at Black Pond, southeast of Howard's Grove, on the Mechanicsville Turnpike, one mile northeast of the Capitol, Capitol Hill, Richmond, Henrico County, Virginia, between 20 May to 1 June, 1861. Black Pond, southeast of Howard's Grove, on the Mechanicsville Turnpike, one mile northeast of the Capitol, Capitol Hill, Richmond, to Harpers Ferry, Jefferson County, Virginia, 3-6 June, 1861: The 1st Tennessee Infantry was ordered to proceed by the Orange & Alexandria Railroad to Harpers Ferry, Jefferson County, Virginia, by Special Orders No.157, Headquarters, Virginia Forces, Richmond, Henrico County, Virginia, at 7 PM on 3 June, 1861, dated 2 June, 1861, and arrived at Winchester, Frederick County, via Manassas Junction, Prince William County, and Strasburg, Shenadoah County, Virginia, in the morning on 5 June 1861. The regiment was ordered to proceed by the Winchester & Potomac Railroad to Harpers Ferry, Jefferson County, Virginia, at 8 AM on 6 June, 1861, and arrived at 11 AM the same day. Note: The 1st Tennessee Infantry was stationed at Camp of Instruction or Lee, Hermitage Agricultural Fairgrounds, between the Richmond, Fredericksburg & Potomac Railroad and Deep Run Turnpike, two miles northwest of the Capitol, Capitol Hill, Richmond, Henrico County, Virginia, on 1 June, 1861. Evacuation Harpers Ferry, Jefferson County, Virginia, 15 June 1861: The 1st Tennessee Infantry evacuated Harpers Ferry, Jefferson County, Virginia, in the morning on 15 June, 1861, and was ordered to proceed by the Smithfield, Charlestown & Harpers Ferry Turnpike to Winchester, Frederick County, Virginia, the same day. The regiment arrived at Charlestown, Jefferson County, Virginia, in the afternoon on 15 June, 1861. Note: The sick of the 1st Tennessee Infantry was ordered to proceed by the Winchester & Potomac Railroad to Winchester, Frederick County, Virginia, at 2 PM on 13 June, 1861, and the 1st Tennessee Infantry was stationed at Camp Johnston, on the Berryville & Charleston Turnpike, on the North or South Fork of Bull Skin Run, three or four miles west of Charlestown, Jefferson County, Virginia, in the evening on 15 June, 1861. Camp Johnston, on the Berryville & Charleston Turnpike, on the North or South Fork of Bull Skin Run, three or four miles west of Charlestown, Jefferson County, to Mill Creek, a quarter of a mile north of Bunker Hill, Berkeley County, Virginia, 16 June, 1861: The 1st Tennessee Infantry was ordered to Mill Creek, a quarter of a mile north of Bunker Hill, Berkeley County, Virginia, at 9 AM on 16 June, 1861, and arrived at Mill Creek, a quarter of a mile north of Bunker Hill, via Smithfield or Middleway, Berkeley County, Virginia, in the evening the same day. Mill Creek, a quarter of a mile north of Bunker Hill, Berkeley County, to Stephenson's Station, on the Winchester & Potomac Railroad, four miles northeast of Frederick County, Virginia, 17 June, 1861: The 1st Tennessee Infantry was ordered to proceed by the Martinsburg Turnpike to Winchester, Frederick County, Virginia, at 2 PM on 17 June, 1861, and arrived at Camp Defiance, Stephenson's Station, on the Winchester & Potomac Railroad, four miles northeast of Winchester, Frederick County, Virginia, in the evening the same day. Camp Defiance, Stephenson's Station, on the Winchester & Potomac Railroad, four miles northeast of Winchester, to Hollingsworth Grove, east of the Millwood Turnpike, one mile southeast of Winchester, Frederick County, Virginia, 20 June, 1861: The 1st Tennessee Infantry was ordered to Winchester, Frederick County, Virginia, at 7 AM on 20 June, 1861, dated PM on 19 June, 1861, and arrived at Hollingsworth Grove, east of the Millwood Turnpike, one mile southeast of Winchester, Frederick County, Virginia, the same day. Note: Brigadier General B E Bee, Confederate States Army, was assigned to command the Third Brigade, Army of the Shenandoah, at Apple Pie Ridge, half a mile northwest of Winchester, Frederick County, Virginia, on 19 June, 1861. Apple Pie Ridge, half a mile northwest of Winchester, Frederick County, to Darkesville, Berkeley County, Virginia, 2-3 July, 1861: The 1st Tennessee Infantry was ordered to proceed by the Martinsburg Turnpike to Darkesville, Berkeley County, Virginia, at 12 PM on 2 July, 1861, and arrived via Bunker Hill, Berkeley County, Virginia, at 10 AM on 3 July, 1861. Darkesville, Berkeley County, to Apple Pie Ridge, half a mile northwest of Winchester, Frederick County, Virginia, 7 July, 1861: The 1st Tennessee Infantry was ordered to Winchester, Frederick County, Virginia, at 11 AM on 7 July, 1861, and arrived at Apple Pie Ridge, half a mile northwest of Winchester, Frederick County, Virginia, at 8 PM the same day. The 1st Tennessee Infantry was ordered to Manassas Junction, Prince William County, Virginia, by Special Orders No.1, Headquarters, Army of the Shenandoah, Winchester, Frederick County, Virginia, at 1 AM on 18 July, 1861, dated July 17, 1861. Apple Pie Ridge, half a mile northwest of Winchester, Frederick County, to Piedmont Station, Fauquier County, Virginia, 18-19 July, 1861: The 1st Tennessee Infantry was ordered to Piedmont Station, Fauquier County, Virginia, at 2 PM on 18 July, 1861, and arrived at Berry's Ferry, on the Shenandoah River, three and a half miles southeast of Millwood, Clarke County, Virginia, at 11 PM the same day. The regiment was ordered across the Shenandoah River at Berry's Ferry, three and a half miles southeast of Millwood, Clarke County, Virginia, in the evening on 18 July, 1861, and arrived at Piedmont Station via Ashby's Gap, Paris, and Upperville, Fauquier County, Virginia, at 9 PM on 19 July, 1861. Piedmont Station, Fauquier County, to Manassas Junction, Prince William County, Virginia, 21 July, 1861: The 1st Tennessee Infantry was ordered to proceed by the Manassas Gap Railroad to Manassas Junction, Prince William County, Virginia, in the morning on 21 July, 1861, and was accompanied by the the 11th Mississippi Infantry, Companies B, C, D, E, G, H, I, and K. The regiment arrived at Camp Pickens, Manassas Junction, Prince William County, Virginia, at 5 PM on 21 July, 1861. Note: The 1st Tennessee Infantry was delayed on the Manassas Gap Railroad at Gainesville, Prince William County, Virginia, by a collision on the Orange & Alexandria Railroad at 12 PM on 21 July, 1861. After the first battle of Manassas the 1st Tennessee Infantry arrived at Camp Walker, on the Orange & Alexandria Railroad, one and a half miles southwest of McLean's Ford, on the Bull Run River, in the evening on 21 July, 1861. Note: The 1st Tennessee Infantry and the 3rd Tennessee Infantry were temporarily assigned to the Fifth Brigade, Army of the Potomac, under the command of Colonel P St G Cocke, 19th Virginia Infantry, at F Lewis' Farm, a quarter of a mile southwest of Lewis' Ford, on the Bull Run River, by Special Orders No.142, Headquarters, Army of the Potomac, Camp Pickens, Manassas Junction, Prince William County, Virginia, on 22 July, 1861 (See the 3rd Tennessee Infantry). Camp Bee, Lewis' Ford, Bull Run River, to Bristoe Station, on the Orange & Alexandria Railroad, Prince William County, Virginia, 3 August, 1861: The 1st Tennessee Infantry was ordered to Bristoe Station, on the Orange & Alexandria Railroad, Prince William County, Virginia, at 7 AM on 3 August, 1861, and arrived at Camp Jones, Bristoe Station, on the Orange & Alexandria Railroad, Prince William County, Virginia, the same day. Note: The 1st Tennessee Infantry was stationed at Camp Bee, Lewis' Ford, on the Bull Run River, on the Bull Run River, on 2 August, 1861. Surrendered at Appomattox Courthouse, Appomattox County, Virginia, 9 April, 1865: The 1st Tennessee Infantry surrendered at Appomattox Courthouse, Appomattox County, Virginia, on 9 April, 1865. Brigadier General B E Bee, Confederate States Army, Third Brigade, Army of the Shenandoah: Captain B E Bee, 10th United States Infantry, Company D, resigned on 3 March, 1861, and was appointed lieutenant colonel, infantry, Confederate States Army, on 4 May, 1861. Lieutenant Colonel B E Bee, infantry, Confederate States Army, was appointed brigadier general, Confederate States Army, at Richmond, Henrico County, Virginia, on 17 June, 1861, and was mortally wounded at the first battle of Manassas on 21 July, 1861. He was mortally wounded in the stomach during the battle of first Manassas on 21 July, 1861, and died one mile northeast of Manassas Junction, Prince William County, Virginia, on 22 July, 1861. The 1st Tennessee Infantry was assigned to the Third Brigade, Second Corps, Army of the Potomac, under the command of Brigadier General W H C Whiting, Confederate States Army, on 25 September, 1861.